I absolutely LOVE cookbooks. 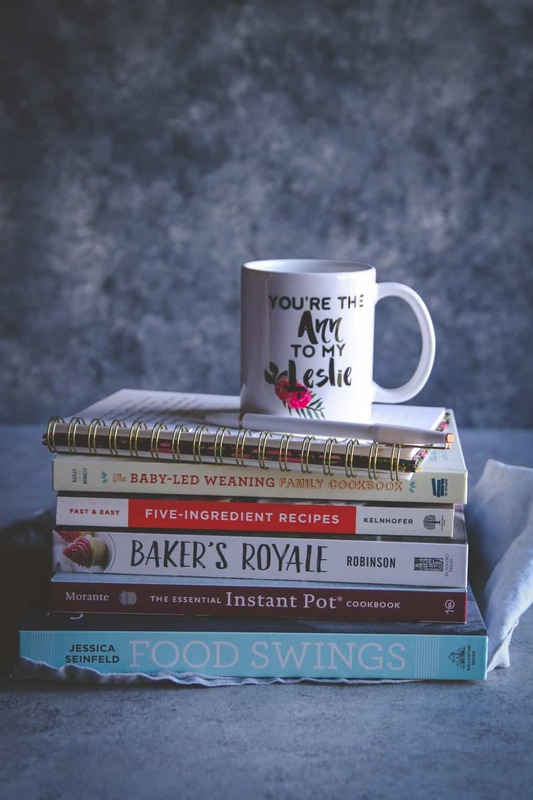 I have an ever growing collection, and I always get asked about my favorite cookbooks, so I thought I’d make list to share with you, so I present to you: a list of my favorite cookbooks, a list of the best cookbooks if you will. I will be adding to this list, and referencing it in the future. Cookbooks are such a source of inspiration for me. 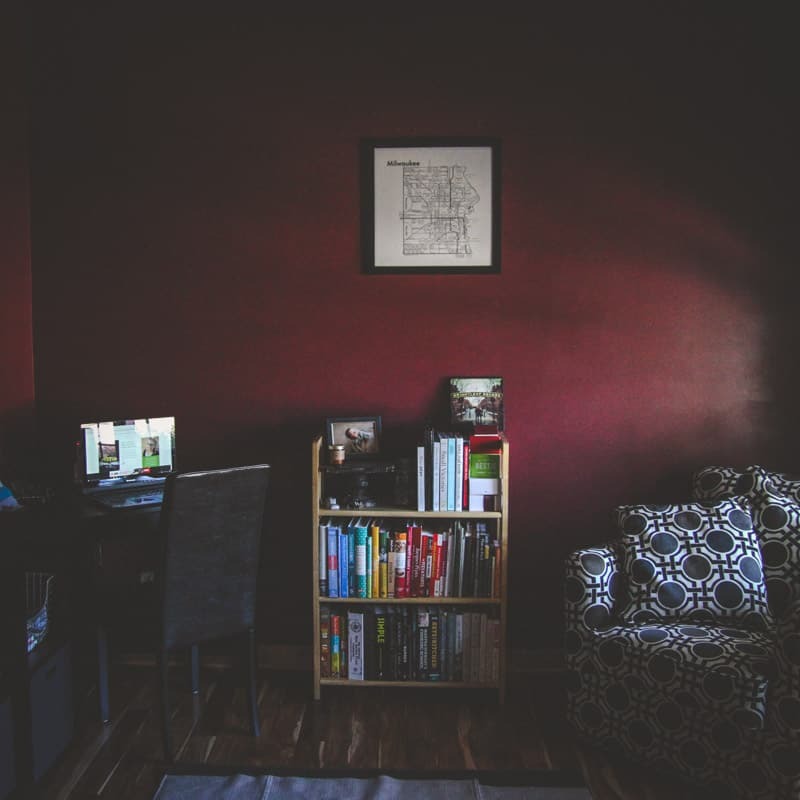 I love reading them from cover to cover and trying new recipes in the kitchen. After having written a cookbook, they’re even more special to me. I know first hand what an act of love it is to put a book together and put it out there in the world. 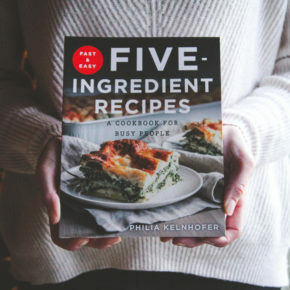 Fast & Easy Five-Ingredient Recipes: A Cookbook For Busy People – by yours truly. 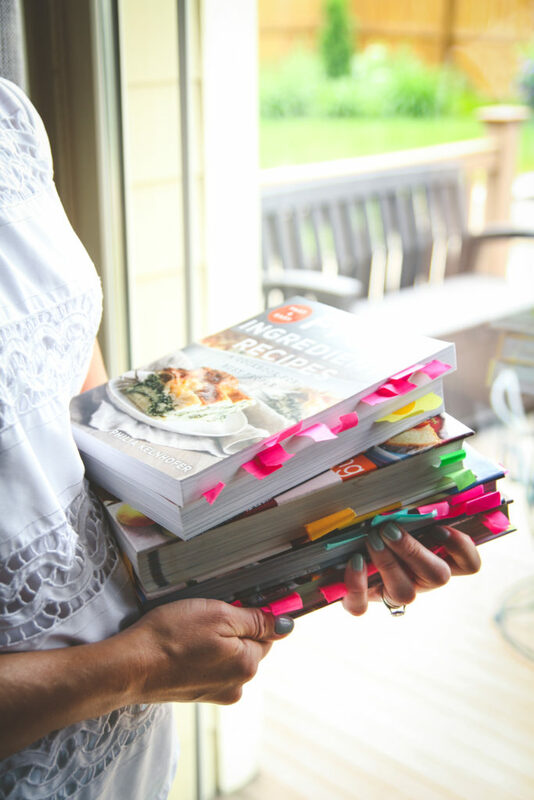 I tell everyone this, but it’s so true: ever since becoming a mom, I use my cookbook more than ever. It sits on my kitchen counter and it contains so many of my go-to recipes (like my yogurt chicken, omg so good, or the sloppy joes, or even the recipe for taco seasoning, because I never have those packets when I need them, so I can make it by following my recipe in the book). 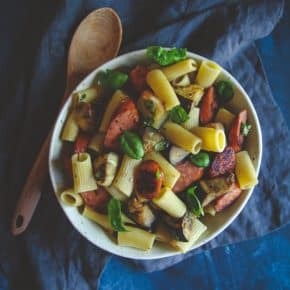 It’s also a great starting point if you’re looking for inspiration, because so many of the recipes can be modified or be used as a starting point and then varied depending on your tastes. 100% Real: 100 Insanely Good Recipes For Clean Food Made Fresh – by Sam Talbot. When I first got this cookbook I dismissed it as ‘healthy food’ and asked my husband to pick a recipe he thought sounded good. He handed me back a list, which was basically every page of the book. I took another look, and sure enough, there were tons of good-sounding recipes. I since have made several recipes (including these almond butter pepita date granola bars) and omg, so good. Everything I make from this book is insanely delicious! Don’t let the healthy title throw you off! I made these insane ham and brie toasts with apricot jam that I’m going to be sharing soon from this book. Feeding the Whole Family– by Cynthia Liar. There are over 200 recipes for feeding babies, kids and their parents. I love this cookbook and have been using it since I started feeding Ben. I love that there are variations for all the recipes on how to make them perfect for everyone. This book is in its 4th edition, so you know it’s good! 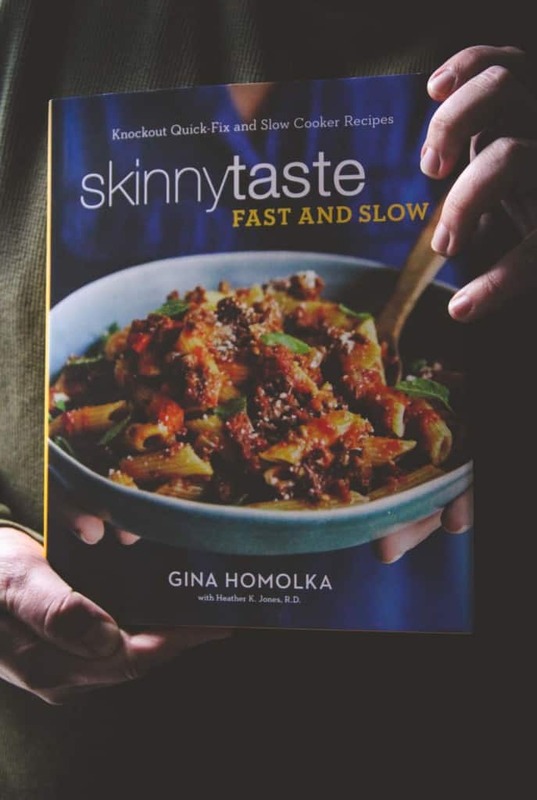 Skinnytaste Fast and Slow: Knockout Quick-Fix and Slow Cooker Recipes– by Gina Homolka. I love making healthy recipes from this book. Gina’s recipes always turn out great, and this is one of my favorite cookbooks. The book itself is beautiful, and is perfect for those set-it-and-forget-it slow cooker days! I shared this recipe for the best ground turkey tacos from this book and I make them ALL the time, they truly are the best. 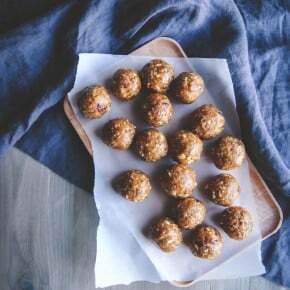 Martha American Food – by Martha Stewart. This cookbook was given to me as a gift, and I love not only reading it and learning food history tidbits, but the recipes are super good. The chicken and dumplings, farmhouse chowder, and so many others are favorites are from this book. Every time I open this book it makes me want to travel to a different part of the US to try new food! Seriously Delish – by Jessica Merchant. My all-time favorite banana bread (it uses coconut milk) and my favorite whole wheat chocolate chip cookies come from this book. That says a lot. It’s a really fun book that I actually use! 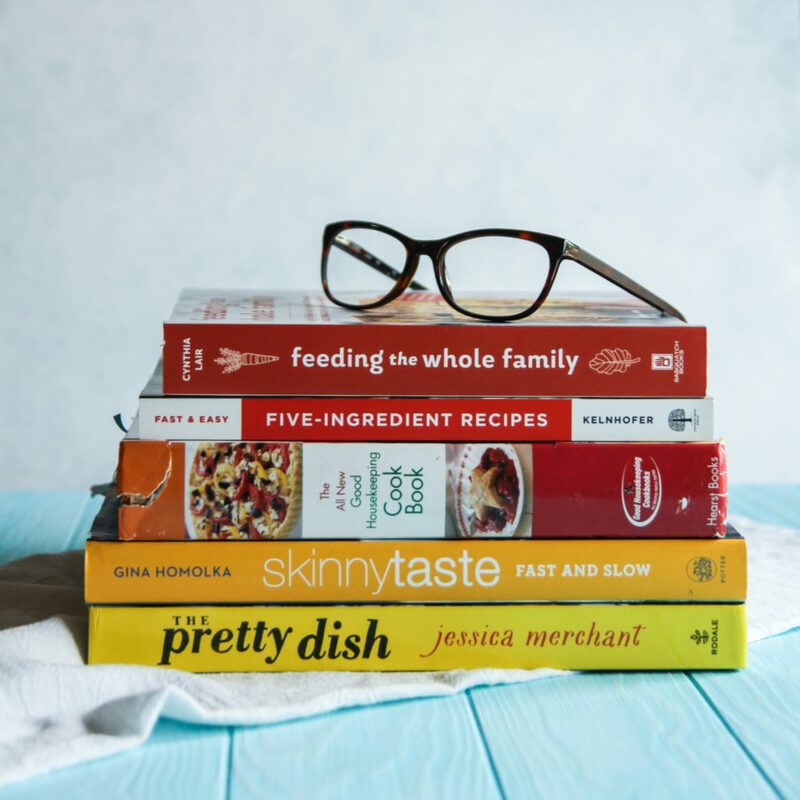 Jessica also happens to be coming out with another book (The Pretty Dish) soon which I cannot wait to get my hands on, I promise I’ll share a recipe from it! Dessert for Two – by Christina Lane. Whenever I have a sweet tooth craving but don’t feel like making a huge batch, I turn to this cookbook. The peanut butter brownies are divine, I legit should probably have the recipe memorized by now. Eating In The Middle: A Mostly Wholesome Cookbook– by Andie Mitchell. 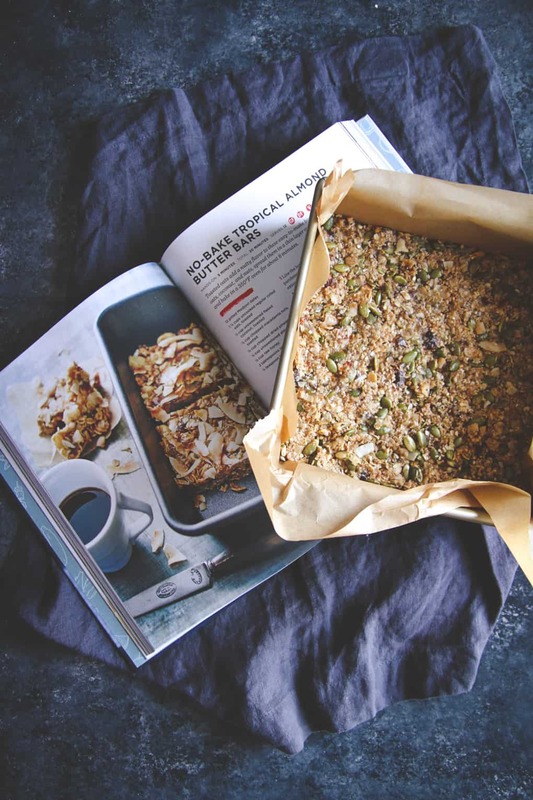 I love this book, which has both healthy and no-so-healthy recipes in it. I’ve made a bunch of recipes from this book, my fave faves are the cashew chicken lettuce cups, the meatballs, and the chicken curry with ginger and yogurt. Food Swings: 125+ Recipes to Enjoy Your Life of Virtue and Vice – by Jessica Seinfeld. If you’re thinking the name ‘Seinfeld’ is familiar, you’d be right. This is Jerry Seinfeld’s wife. She is a really great cook, and this is my second cookbook of hers I’ve loved. Years ago (before kids) I got Deceptively Delicious: Secrets to Get Your Kids Eating Good Food and really enjoyed the book. Her latest cookbook though, this Food Swings one is a winner. So many amazing recipes, including the best ever chocolate layer cake! 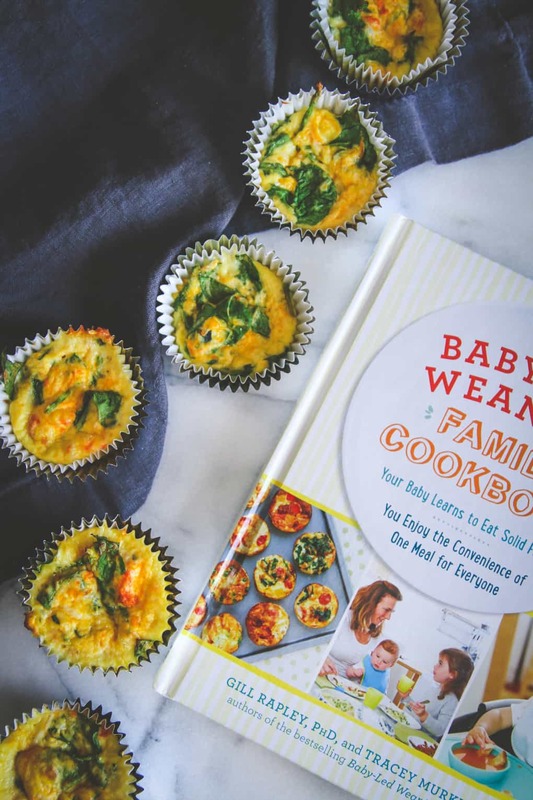 Baby Led Weaning Cookbook: Enjoy the Convenience of One Meal for the Whole Family – by Tracey Murkett & Gill Rapley. At first glance I paged through this book and didn’t really think anything more. Then Ben started eating, and I re-opened this book. So amazing, the egg cups recipe, I make those once a week for us, there’s lots of recipes the whole family can eat and enjoy, so you’re not cooking separately for everyone. 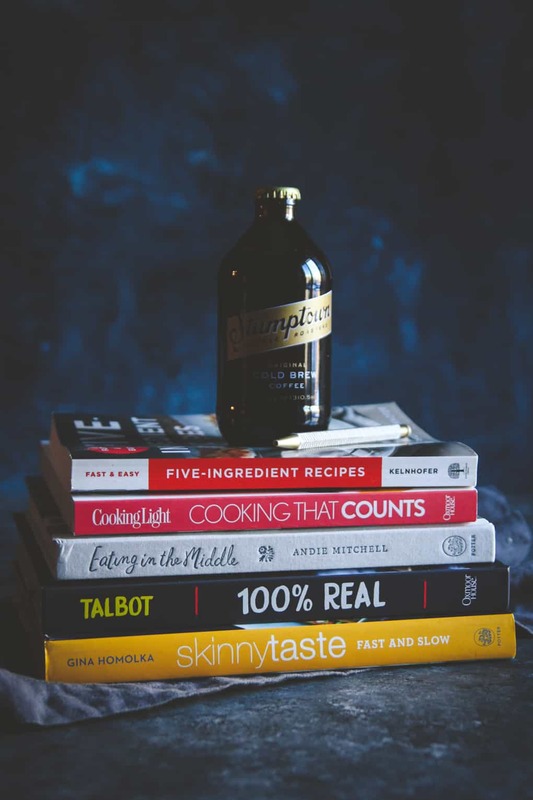 I have so many cookbooks I still haven’t gone through and given the proper ‘once over’ to, so I promise I will come back and update this list. 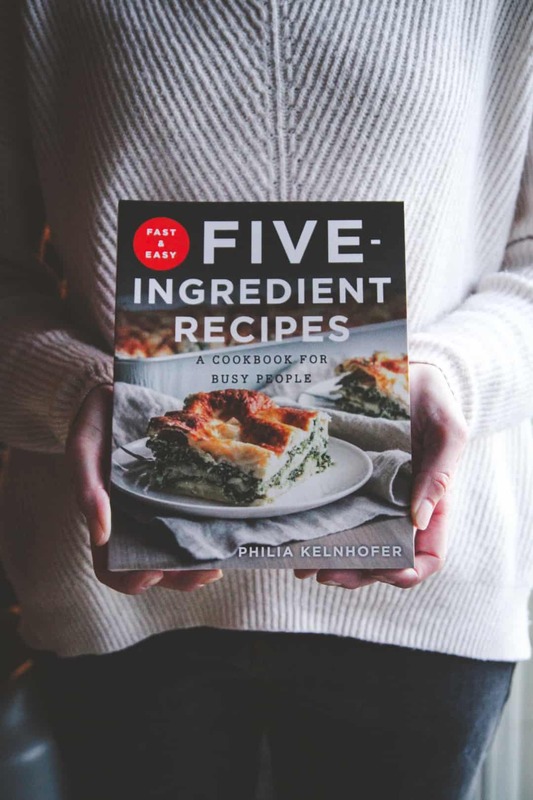 Now I’d love to know – do you have a favorite cookbook? 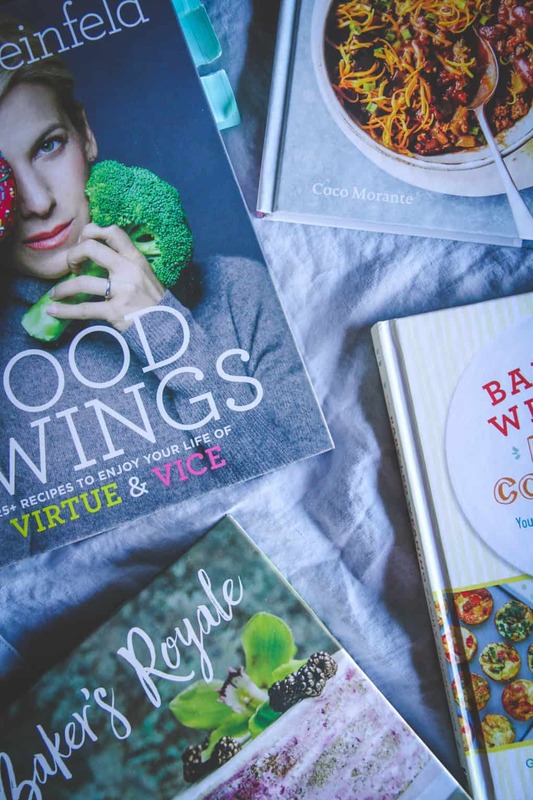 Or, what are some of your favorite cookbooks?! hey girl- I love cookbooks to! My favorites are Pioneer Woman’s ( so cool)! I can’t wait for Joanna Gaines to come out next month and also Siri Daly’s. Oh my goodness, thank you so much for your comment, I now am going to go purchase/preorder those ones right now, they all sound amazing, thank you for sharing!!! I have a serious cookbook addiction! Of course, I love yours! Right now I can’t get enough of Healthyish! I have a cookbook addiction too Cassie!! Thank you so much for having mine, and I’m totally going to go check out Healthyish, sounds like just my type of book! Love the update! I have a bunch of the same ones! I just got Just Cook It! and I want Eat a Little Better by Sam Kass. Waiting for Prime Day for a possible coupon! Oh, those sound great – your recommendations are always great so I’m totally going to add those to my prime day list!! Thank you for commenting!